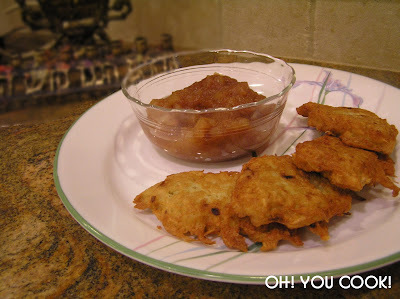 Potato Latkes -- make them in advance. And a little smaller. Do not place on paper towels to absorb excess oil. Just lay them in a single layer on a cookie sheet, freeze then bag 'em. Just before serving, pop (still frozen, but out of the bag) in a 350F oven for 15-20 minutes. Serve with apple sauce (parve), or with a dab of sour cream (dairy) and budget-blowing caviar. Don't say you've OD'ed on latkes during Chanukah. That's so last week. Lazy Pizza (dairy) -- assemble a few hours in advance and store in fridge. Just before serving, pop in a 350F oven for 5-10 minutes or until cheese melts and becomes barely brown. Cut into quarters for dainty-ish servings. My new assignment this month as a member of the Secret Recipe Club, which I chose to accept, was to make a recipe from Comfy Cuisine and write about it. Patti has quite a number of mouth-watering recipes on her blog, but it didn't take long to zero in on her Pretzel Sandwich Rolls. I first ate a roll of this type at a deli while visiting theDaughter. The idea of a frank in a soft pretzel roll sounded a bit strange, but she assured me that it was quite awesome and that I absolutely had to try it. Since theDaughter ordered a chicken sandwich, I was at first a bit suspicious, but she was right on the money. Awesome, totally! That's Valley Girl-speak for "extremely delicious!" So when I saw Patti's recipe, I just had to make them doggy-style frank-friendly.